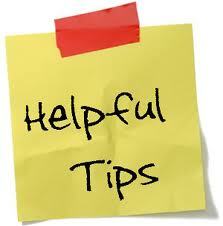 A few more tips that I found out work over my 30 years and counting of parenting….what are your tips? Time with your child is important, but your child must learn how to play without you. This builds self-confidence, ingenuity, and your child will learn how to “work his world”. Your child does not need to be involved in every lesson, sport, and club to become successful. Down time is important to children, our children are often over stimulated and overly tired. Teach your child the art of being alone….turn off the technology and be comfortable with alone time. Meals together reconnect a family. Families who eat together have children that are more successful and less likely to be involved in alcohol and drugs. Remember, a family meal can be a frozen pizza! Breakfast counts as a family meal too! Make at least one meal a week together a must. Plan activities together. Don’t fall into the habit of everyone going their separate ways. Family time builds connectivity. Children that have a strong family identity have higher self-esteem. Read and play board games, go back to the basics for family time. Children remember the good in family time–even if it seems like a trip or outing was disastrous! Tradition and ritual defines a family. Tradition endears your child to home. “That is how we always do it” means it is important! Allow your child to finish a task on his own. Allow your child to experience consequence for behaviors. Do not “rescue” your child from every hardship. Let your child do his own homework and projects. Give your child age appropriate responsibilities. Experts are great, but don’t rely only on what you hear and read, trust yourself. If it doesn’t feel right, then it probably isn’t. What is right for your family may be different from what is right for your next door neighbor’s family. Your child wants your attention, whether it is negative or positive. Lots of talk about negative behavior gives that behavior lots of attention. Try to give most of your attention to positive behaviors, not negative. Do not try to treat each of your children exactly the same. Every child needs something different from you as a parent. Have the same rules in your home–but your approach to those rules may be different with each child. Trying to keep things “equal” often increases sibling rivalry, give every child what he needs when he needs it. Parents must monitor their child’s exposure to TV, computer, and video games. There is never a good reason to have a TV in your child’s bedroom; it decreases family interaction, reading, and creativity. Keep the computer out in an area that is full of family activity. Know what websites your child has been using. Be tech savvy, your kids will be! There are times when you must trust your child–and let go. The last few tomorrow…join in this conversation! What are your favorite parenting tips?! We all have them, share so we can all benefit from each other. Like Raising Kids with Love on Facebook and join in the parenting talk! ← A few parenting tips….